We've thoroughly reviewed 32Red Casino and gave it a very good reputation rating, which means it's a great casino to play at. In our review, we've considered the casino's player complaints, estimated revenues, license, games genuineness, customer support quality, fairness of terms and conditions, withdrawal and win limits, and other factors. Because 32Red Casino is related to other online casinos listed below, its rating is also influenced by them. Read the full review below and learn more about this casino. According to our research and estimates, 32Red Casino is one of the biggest online casinos with huge revenue and number of players. The revenue of a casino is an important factor, as bigger casinos shouldn't have any issues paying out big wins, while smaller casinos could potentially struggle if you manage to win really big. We currently have 5 complaints directly about this casino in our database, as well as 18 complaints about other casinos related to it. Because of these complaints, we've given this casino 9,850 black points in total, out of which 348 come from related casinos. You can find more information about all of the complaints and black points below. Based on all of the information mentioned in this review, we can conclusively say that 32Red Casino is a very good online casino. You can expect to be treated well and have an enjoyable experience if you choose to play at it. We have conducted extensive research on the web and as a result we have found following 26 complaints on 32Red Casino or any brands that might be interconnected with it. Taking into account seriousness and credibility of these complaints and estimated size of casino revenues we decided to give 32Red Casino a Very Good reputation. The player wasn't able to provide sufficient enough documents for verification and his account remained closed and his deposit was returned to him. The player didn't have a problem with his previous withdrawal and requested another one for the amount of €12,000. He was asked by the casino to provide the information where did the funds that he played with came from. He provided this document where it stated that his daughter provided the funds for him. About ten days later he received an answer from the casino that said the document was not sufficient enough and the account would remain closed and his deposit in the amount of €6,000 would be returned to him. The player decided to take the legal steps to have this matter resolved. The case remains unresolved. The player was accused of duplicate accounts, abused bonuses, and due to that, all the funds were seized. The player followed all the terms and conditions while she had won £5,000 with her £10 free cash bonus. After she had sent all the documents for verification, the casino accused her of double accounts and abused bonuses. She insisted that there was a mistake due to the fact that she had only recently moved to a new apartment and perhaps this was the cause of misunderstanding. The casino didn't want to accept the woman's words and refused to pay her the winning. The case remains unresolved. The player's winnings were not accredited to them due to the technical difficulties while playing on the casino's mobile app. The player had an issue while he played a game on his casino's mobile app and the winnings were not credited to their account. The player tried to resolve this issue with a support team and also wrote them an email but nothing changed. Casino advised the player to not to play this game until the technical problem would be resolved. There is no further information on this case. The casino failed to self-exclude the player and due to that, he had lost more money. The player admitted to the chat representative that he had a gambling problem and asked to be self-excluded. The chat representative advised the player to send an email since he couldn't do so through a live chat. He wrote the email but still was able to gamble further €25,000. He begged the casino to have his deposits returned to him because of his gambling addiction. The player contacted the UKGC. There is no further information on the case. The player was accused by the casino to had abused the system and confiscated all of his funds. The player played at the casino and used a refer-a-friend bonus to gain NOK1,500 in addition to his NOK100 initial deposit but the casino blocked his account and accused him of abusing the system and confiscated all of his money. The player admitted there might've been some activity seen as suspicious with his friend he had referred, but he wanted his NOK100deposit back. The casino only provided a vague statement with terms they claim the player breached and won't comment any further. The player was accused of having opened two accounts but the casino allowed him to continue playing. The player used a bonus and won NOK58,000. However, he was denied his withdrawal and accused with opening two accounts. He got his deposit back plus €,1000 which looked very strange. However, the player continued to play and won again, and this time, he was allowed to withdraw the entire amount of €3,500 without any problems. Causes some doubts in the casino's system, but they still owe the player €5,800. There is no update on this case and it remains unresolved. Bonus abuse accusation, deposit returned. Player complained that upon his registration he had to pass through the verification checks first, then he made a deposit and used a bonus. He won some money and asked for a withdrawal. He was asked for further verification documents which he provided but later his account was suspended and he was accused of a bonus abuse. Casino proposed to return his deposit. Player refused any bonus abuse accusations. Proofs couldn't be shown. No more update since then. The player's account was closed due to the irrelevant situation. The player complained that she had passed through all the verifications checks upon sign up. She then received an email from the casino informing her about new rules with which she didn't agree and asked for her account to be closed. However, she was unable to withdraw the remaining funds because the casino required more documents for verification and they replied that the player had already received an explanation this situation by email and asked the player to provide additional documents for verification. The casino tried to reach her via phone but she said she usually didn't answer to unknown numbers. No more update since then. Player's account canceled, all funds confiscated. The casino claimed it was due to a breach of terms and conditions. After winning some amount of money, the player's account was canceled and all their funds were confiscated. This left the player frustrated but the casino claimed it was due to a breach of terms and conditions. No update since then. Player allegedly received a bonus they did not ask for. According to the player they received a bonus they had never asked for and tried to cancel it. The casino informed the player since they had already started to wager, they had to finish the wagering requirements. The player would have rather withdrawn their deposit. The complaint remained unresolved. No update since then. Player’s account was locked. The casino claimed it was due to a duplicate account terms and conditions breach and an abusive behavior of the player. The player complained their account was locked and all their funds were seized. The casino claimed it was due to a duplicate account terms and conditions breach and an abusive behavior of the player. According to the casino, the player had been already registered in a sister casino using a different identity. After the casino locked the player's account, they behaved abusively which the player admits. No update since then. The player was asked to send documents for verification over and over again while his case remains unresolved. Hans, a player from Germany, played in the casino 24hbet where he had €15,000 left. All the 24hbet casino's players accounts were transferred to Unibet casino. The player created a new account with Unibet and provided all the documents needed for verification. With adding some additional documents, they were all approved. After that, Hans asked the casino via email if he could receive the remaining balance from 24hbet casino. The casino responded stating that they need his ID and utility documents again, even though those were approved just recently. When Hans asked the casino for an update, he kept receiving the same answer, to send the documents for verification again. Hans became very frustrated and this case remains open. The player's bonus funds were confiscated and his account was closed due to a failed document verification. Joe, a player from the UK, made a deposit of £100 and took a bonus. He met all the wagering requirements and requested a withdrawal of £2,119. When he couldn't complete the withdrawal, he contacted a live chat representative and found out that the casino did some internal security checks and needed him to send identification documents for verification. The player provided the documents to the casino, but they were denied due to his documents failed their verification process. His bonus funds were confiscated and the account was closed as per their terms and conditions. This case remains opened. The casino closed the player's account due to the terms and conditions being breached. After the casino's longtime player made his first deposit, he asked the casino to close all of his duplicate accounts and leave him with only one. That one account was successfully verified and had a leftover balance of €400. But when the player tried to log in, he wasn't able to do so. The casino informed him that the account was blocked due to fraudulent card activity that was reported to them by the player's bank. The player decided to complain to MGA (Malta Gaming Authority). This case remains open since the casino never provided the player with any relevant proof about broken terms and conditions rules. Nikolay, a player of Bulgarian nationality, but a citizen of Holland, opened an account. He made a deposit, took and used a bonus, completed the wagering requirements, and requested a withdrawal of €770. He was asked by the casino to send documents for verification which lead to his account closure. 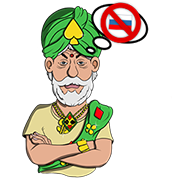 The player thought that they closed his account due to being a Bulgarian nationality, but the casino told him that was not the reason. They told him that he knows exactly why they rejected him as a player. The player claimed that he had no clue why his documents were not accepted. The Askgamblers representative asked the casino to provide a valid proof about the player breaking the terms and conditions. They never responded. The player's account didn't pass the document verification on multiple tries. A player from Germany with a Spanish ID made a deposit of £80 and was asked to provide documents for verification. Unfortunately, the casino repeatedly didn't accept those documents, even though some of them were posted as a legitimate proof at the casino's website. The customer support couldn't explain to the player why his documents weren't accepted and he had lost his £80. There is no update on this case. The player didn't pass the document verification and his account was closed. The player registered at the casino and a few weeks later, he was asked by the casino to provide documents for verification. He sent those documents and they were successfully verified, but his account was blocked later on anyways. The casino claimed that the documents sent for verification did not pass their verification. The player was ready to provide the documents for verification again, but the casino never responded to the request. There is no update on this case. Terms and conditions breach, deposits were paid back. Extremely long payment and verification process without a resolution. The player complained that the processing of his withdrawal request was taking way too long. ThePogg representative tried to help him and received an information from the casino that the ID that was submitted for verification wasn't genuine to them. On the other hand, the casino failed to provide any details regarding the specific issues with the ID. The complaint remains unresolved. Over extremely long withdrawal process of such small amounts. The player made three deposits of $85, $90, and $20. He tried to withdraw some of his winnings but first, he needed to send some documents for verification. He sent those requested documents to the casino, but they wouldn't accept them. The casino was supposed to contact the player about an update via email and they did, one year later!!! They asked him to provide the same documents for verification again. During that year, the player closed his Entropay account and lost any hope to ever receive his winnings that he won so fairly. In the complaint, he also mentioned that he would like the casino to refund him on at least one of his deposits through a Neteller account. There is no update on this complaint. Winnings cancelled due to technical issue. The player was unable to retrieve his money via debit MasterCard payment method. Martin requested a withdrawal of €800 but wasn't able to retrieve the payment via his debit MasterCard so the money was sent back to the sender, the casino. After that, he suggested the casino to send the payment to him via his Neteller account or wire transfer. The casino was unable to track the payment and also stopped responding to Martin's emails. Martin contacted the MGA for help but there is no update available ever since then and the case remained unresolved. Very log verification and withdrawal process for no reason. Jarda made a withdrawal request of €500 and sent all the documents needed for verification. His ID was accepted right away, but his bank statement wasn't. He contacted the support and they told him he should wait 1-3 days for them to process. Ten days later, his documents were still under the investigation. Without any further information available, the case remained unresolved. The player complained his withdrawal request was taking too long despite that the casino kept requesting additional documents for account verification that he did already provide to them. The player was unhappy that the casino was not replying to his tickets and requests and he didn't know why. No further information was provided. The player experienced an extremely long document verification and withdrawal process. The player, Kizani, requested a withdrawal of an unknown amount, sent all the documents needed for a complete verification, plus a picture of him holding his passport in his hand where both his face and passport details were clearly visible. The casino never updated the player on whether they received the documents or if the verification was successful. There is no further information available and the case remains unresolved. No Fee $10 - ? Master Card $10 - ? VISA Debit $10 - ? No Fee $100 - ?